Rosicrucian Prayer to the Sun. “Homage to thee, O Great God, Thou Master of All Truth! I have come to Thee, O my God, and have brought myself hither, that I may be conscious of Thy decrees. I know Thee, and am attuned with Thee and Thy Two-and-Forty laws which exist with Thee in this Chamber of Maat. In truth have I come into Thine attunement, and I have brought Maat in my mind and Soul. The above quotation by Aristotle is very appropriate when it comes to stretching the frontiers of our awareness, especially when we consider perspectives that are contrary to our programming. Some of us understand the fractal and dual nature of our reality, and many have realised the truth in the statements ‘as above, so below’ and ‘everything is one of a pair of opposites’. Following a fractal and dualistic train of thought, this article poses a few questions for those who can think big thoughts! I can imagine a few raised eyebrows, right now! It’s like asking if the earth is flat but we will come to that in the next article. But for now, let’s investigate what I call the ice cube effect. Our senses determine how we interpret our physicality… and create our virtual reality. This can easily be demonstrated by ‘the ice cube effect’. An ice cube is a solid and resonates upon the earth field, when we heat it (speed up its frequency) we can observe its passage upward through our chakra system, our sensors if you like. A solid turns into water (2nd chakra), is hot (third chakra), steams (fourth chakra) and disappears into space (fifth chakra). In our VRG the speed of the field determines whether physical matter appears to us as hot/cold, a solid, liquid, gas or space. So, with our limited awareness (10% of what we should have available) the Sun, the fire in the sky is decoded as heat by our limited body software. Here is an interesting perspective of the Sun from Brother Philip in his book Secret of the Andes and the Golden Sun Disc of Mu. Is the Sun, the nucleus of an atom? Is our virtual reality an electron? Masked by the fiery light of the third dimensional yellow Sun is a second Sun (see my article the Occult Sun: part one) This appears as an intense pulsing indigo sphere surrounded by magenta, indigo, infra red and ultraviolet light. Many occultists refer to this ‘second Sun’ as the black Sun, but from my observation the centre of the ‘spiritual’ sun is bright blue/indigo…not black. This makes sense in terms of polarity because blue is the opposite of yellow. “What I have learned from space visitors is not really anything new, but only a return to the ageless wisdom possessed by the Earth’s most ancient races. These students of long ago said the true colour of the Sun was blue, and it is interesting to note that the musical note of Blue is Sol, a name for the Sun itself.” George Hunt Williamson. Other tongues, other flesh. Does the Isha Upanishad imply that the yellow Sun is a mask covering truth? And, by establishing a spiritual connection with the blue Sun, we can see behind the mask? The Green Hermetic Lion devouring the yellow Sun of the Demiurge. 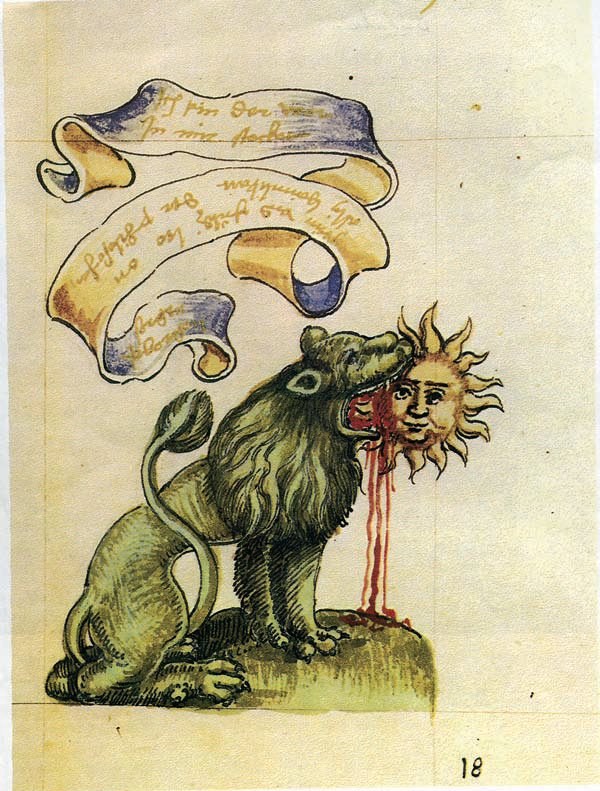 The woodcut of the hermetic green lion eating the yellow sun appeared in the Rosarium philosophorum (the Rosary of the Philosophers) and was first printed at Frankfurt in 1550. In view of the quotation from the Upanishad, where we are told that the yellow sun blocks us from our true spiritual reality, what esoteric information is encoded in the woodcut of a green lion eating the yellow sun? The astrological sign of Leo is a fixed House of the Sun. The number of Leo is five…the number of man with his five fingers and toes. The peridot hue of the lion is the colour frequency of Fire rising into Air: the yellow green of 528hz; the Heart chakra of fourth dimensional awareness. In other words, the third dimension reaching into the fourth (the morning sun.) This is the opposite polarity to fire descending (afternoon sun) into the second chakra of emotion, the root of competition/separation. It is interesting to note that the eminent astronomer Sir William Herschel 1738–1822, suggested that the Sun may be inhabited and that the inhabitants may no more suffer from the intense heat than those who live in the tropical regions of Earth! He believed the Sun to be cool body, not a hot, flaming gas ball. Awake, awake, the world is young for all its weary years of thought.The starkest fights must still be fought. The most surprising songs be sung! Outrageous thoughts for outrageous times! Join the fourth dimensional rebellion. “… musical note of Blue is Sol, a name for the Sun itself.” ..Blues, Soul…That is where our infinite universal sadness from…Me to be with the TRUTH SUN -wish nothing more! Elva, the same I wish to you. “Wind in the willows singing tea for two. Nothing is as it seems, or as it is projected. Ah! Saturn/Sol. Cast into Tartarus by Zeus and chained with rings. There is so much we don’t know, Iam. We must push forward in our awareness lest we stagnate…. Great article. Thanks and hugs. You mentioned in Part One that you’d include mantra(s) in Part Two. Thanks for reminding me. I forgot! These are the ones I chant when I sungaze. Om Arkaya Namaha. Phonetically: Om Ahr-kah-yah Nahm-ah ha. Sanskrit. Om and salutations to the Shining One who removes afflictions. Ma-piya [Lakota.] Ma-pee-ya. Heal me. Om and salutations to the Shining One who heals the eyes. I would recommend that you learn the phonetics for each chakra and make your own mantras. John Beaulieu has a wonderful book. Music and Sound in the healing Arts which you will find on my article Symphony of Self. In the book he goes through the five elements, elemental personality and the sacred phonetics for the chakra system. Another wonderful, thought provoking article, Elva. It provides much food for thought and consideration. Although I don’t always comment, I sure love reading all your posts. They all resonate with me, in some way, on a grand scale. I, too, think that the Sun is a source of ‘Self aware’, conscious electromagnetic energy which is not hot at all. It’s actually very cold in space (I.E., closer to the Sun than the Earth). I think the Sun is also a Stargate/Portal, of sorts . Yes, the level of deception that humanity is under, goes very deep indeed. Speaking of deceptions, I’ll leave you a link to a video that I watched quite recently that might interest you. It’s entitled “IlluminatiMATRIX – What In The World’s Going On?”. The direct link is: (https://www.youtube.com/watch?v=WCBBaHRrvwY). I think the video does a decent job of explaining how humanity got into the mess that it did. I’d be interested to know your thoughts on it and, how, or if, it resonates with you in any way. I agree that the sun is a portal, a black hole to other dimensions. Nassim Haramein[the resonance project] has got some interesting videos of ‘sun traffic’. 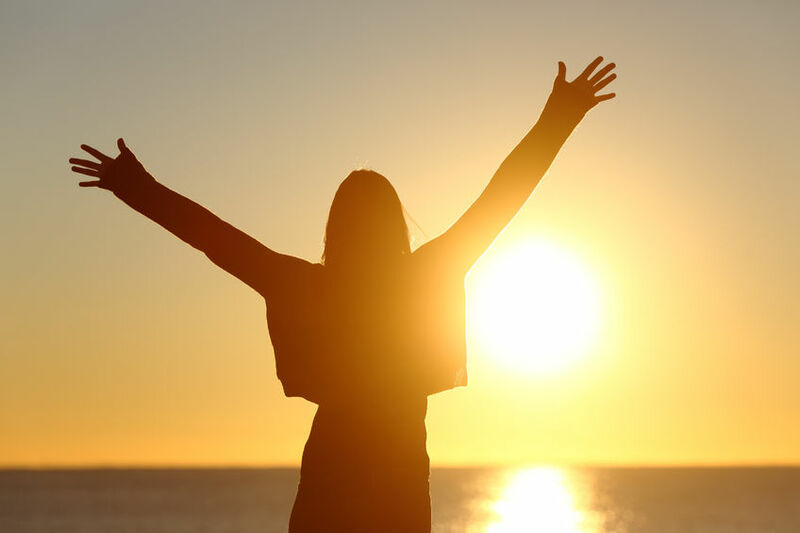 The notion that the sun may be a nucleus has been ‘spinning’ my head for a while and I just had to write about it.I’m glad the information I present resonates with you.It’s good to connect with kindred souls. This is the beauty of the shift…. Blue sun hugs and thanks for being. Benny, I have just listened to the link you posted. Totally awesome! It’s a resonator.The video will accompany my next ‘offering’ Light-Bringer. Now, that sounds like a dark spell. I thought that you’d find the video interesting! 🙂 It does make a lot of sense, on a certain level.